Everything that JESUS is against is happening more and more. I saw a preview on TV that there’s a show called Lucifer. They gave the devil his own show. There’s a lot of other shows that are nasty and scary and so many of them depict that everything is acceptable. Even the so-called sitcoms, they laugh about anything. We are living in the end times and it’s gonna get worse. Read the Book. We somehow got to get a show out there called JESUS. Or ACTS 2:38. Or whatever happens, JESUS wins. I’m on HIS side. Everything here is what people turned into it’s not a big deal. We need to accept HIS Love because it’s one of the greatest things we will ever have. JESUS loves us more than we’ll ever know. It’s unconditional. I learned that when I had my own kids. Then it was brought back big time when I got my grandkids. When you get a hold of the love of JESUS it will bring you HIS joy. There’s nothing more exciting than hanging on to HIS love and then experiencing HIS joy. 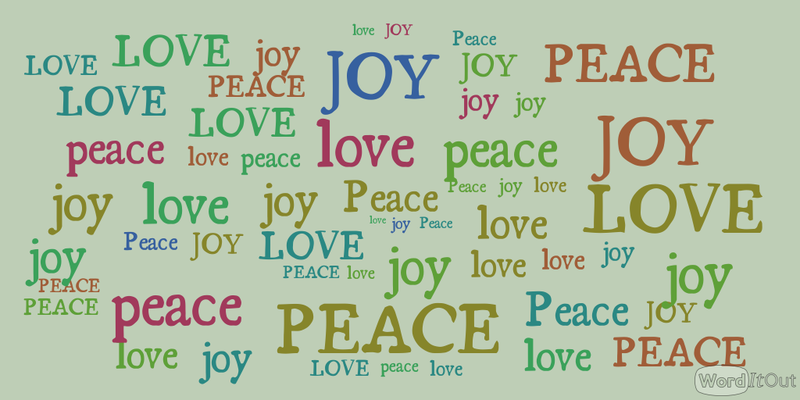 In John 15 JESUS talks about having a strong relationship with HIM and in verse 11, HE says – “These things have I spoken unto you, that MY JOY might remain in you, and that your joy might be full” – Holy Ghost Joy.